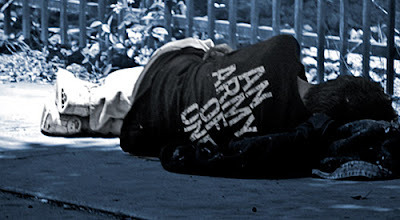 City Councilman & Veteran Bill Bestpitch contacted us a few weeks ago about a program he is in charge of that helps veterans from becoming homeless. Some of you may be aware that this program has been around for a year or so. Last time they came and talked to us there were some funding issues and they ran out of money really quickly. I was assured by Bill that those issues are now resolved. What this program focuses on is both homelessness prevention and rapid rehousing. The rapid rehousing part of this program that concerns landlords is helping vets find a home. It helps them with their first months rent and deposit and possibly the first few months of rent until they are established and back on their feet with employment, etc. Regarding the aspects of homelessness prevention, the program helps vets get back on track if they have fallen behind on their rent. This week Bill will be sending out his team that implements the program. They will cover all of the details of this great program and how you as a landlord can participate. Unfortunately I’m going to have to miss this one due to having metabolic surgery on Monday. I’ll be in the hospital for a few days and will be out of commission for a week or two after. This surgery will reduce if not completely eliminate my ever increasing list of weight related health issues including things that will eventually kill me such as diabetes, high blood pressure, sleep apnea, high cholesterol, etc. Statistically the odds are good that I will live through the surgery. Only 2-5 out of 1,.000 die within 3 months of having it. However the odds are very high that I will die young if I don’t have it due to my comorbidities and the poor statistical probability of a successful lifetime fight against genetic & metabolic issues related to inadequate production of the hormones leptin and ghrelin. I’ll see you at the following meeting.